This is what we know as pot, weed, ganja, reefer, etc. It is from the flowering plant of the family Cannabaceae and has been around for thousands of years, with the earliest recorded dates reaching back to the 3rd millennium BC. For the longest time, cannabis was used for it's thick, hearty stalks to make hemp fiber and oils, medicinal remedies, and its psychoactive ingredients. Back then cannabis was grown all over the place by people like King James I to George Washington because of it's wonderful use as rope, paper, and fabric. It provided a stronger, more environmentally friendly and virtual way to produce the same needs from that of trees, but at a much faster rate. It wasn't until around halfway through the 1800's that it's medicinal use was on the rise and as it's medicinal properties, rather than industrial properties, was on the rise, regulations regarding drugs, substances, and pharmaceuticals started to come into action. Around 1860, regulation of the sales of pharmaceuticals began and laws were introduced to create penalties for mislabeling drugs, mixing them with undisclosed narcotics, and for the improper sale of anything considered a "poison." These laws required labels on the packaging that states all of the harmful side-effects of the drugs and prohibited sales outside of pharmacies and prescriptions. A lot of pharmaceutical societies agreed on deeming Cannabis as a "poison," thus requiring a label on whatever container it is sold in. Sometime in the 1900's the Pure Food and Drug Act made it mandatory that specific drugs, like alcohol, cannabis, cocaine, etc, be labeled with proper contents and dosage. As long as they were labeled correctly, these drugs were legally available without a prescription. A little later on in the 1900s cannabis was widely used for their industrial, medicinal, and recreational uses and it was on the rise. The government slowly started putting more restrictions on the miracle plant, labeling it as poison and creating propaganda as a scare tactic. 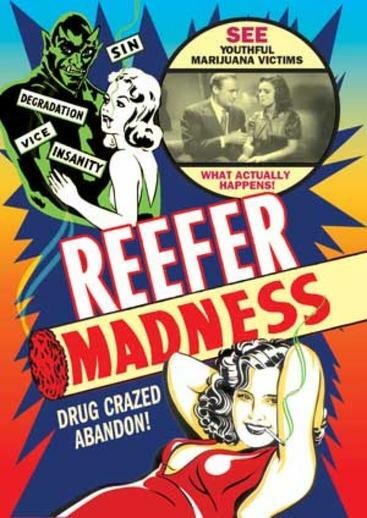 The American Medical Association created this propaganda department the same year California outlawed cannabis. It wasn't until the late 1930's that the Marijuana Tax Act was passed. This act presented a $1 nuisance tax on the distribution of cannabis. It also required anyone who was selling to keep a log of everything they've sold and each person they distributed for, and any inspections that have happened. When people would want to get a tax stamp for cannabis, they had to present all of their goods first which is also an act of confession to selling. Congress passed this act because the public perception was that cannabis caused "insanity, criminality, and death." 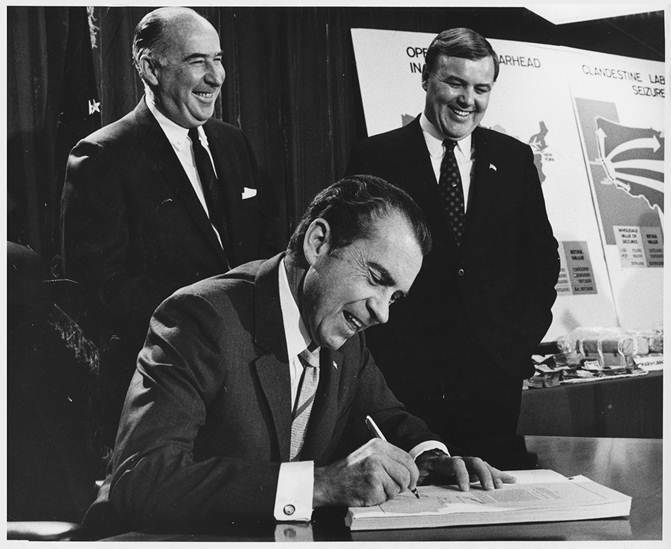 In 1970, the Controlled Substances Act was put into law by Congress. This act regulates the the manufacturing, importation, possession and use/distribution of certain substances. It is the Controlled Substances Act that we know today that holds cannabis in the Schedule I class. Because of the Vietnam War and Nixon's concerns over drugs, he coins the term War on Drugs. June 17th, 1971: Nixon declares the War on Drugs. The use of illegal substances was "public enemy number one in the United States" in his eyes. The legislation during the Nixon presidency is the foundation of the war on drugs that we know of today. Even though Nixon is the reason for the war on drugs, his era was the only time during this whole war that the money was actually used for treatment, rather than law enforcement like today in 2017. 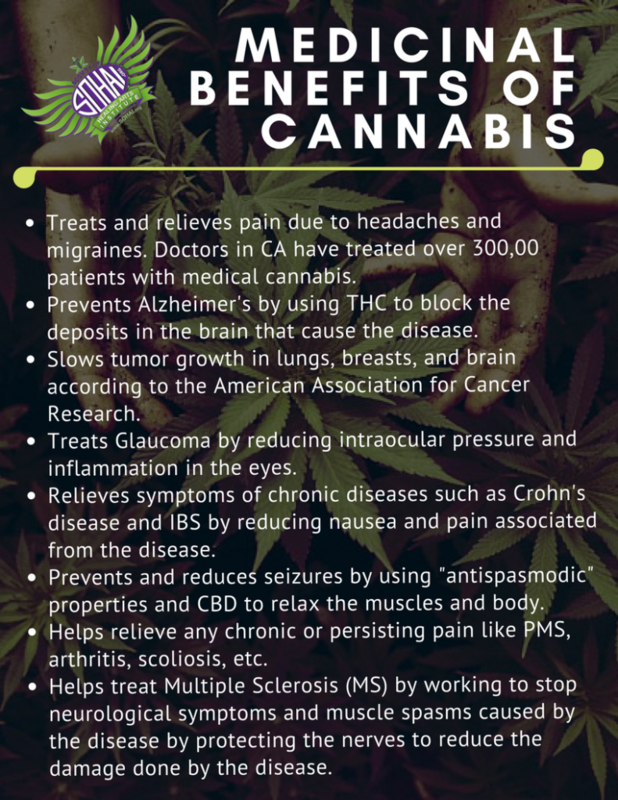 It can be used recreationally to achieve the psychoactive effect, and also medicinally by being prescribed by doctors to alleviate pain, nausea, muscle spasms and other conditions both through psychoactive and non-psychoactive components. These medicinal benefits and psychoactive effects are derived from the female cannabis plant, not male, and have varying levels of cannabinoids in each strain. 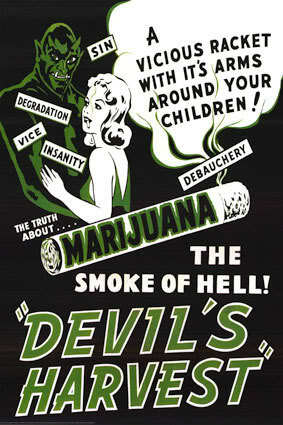 But, cannabis is not for everone. 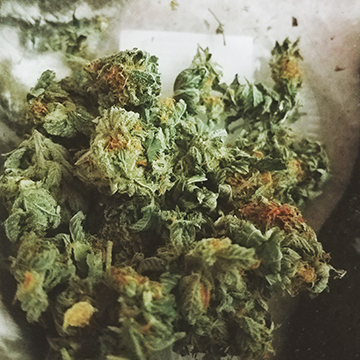 The feelings and effects of marijuana are different for everyone. Things like state of mind, environment, timing, conditions, and strain variety are all factors that play a role in how a person will feel. Although marijuana is safe, not everyone has the reaction they expect so it's best used starting in small amounts. Over time and increased use, the effects and feelings of cannabis becoming lighter and less prevalent. Most smokers refer to this as a "high tolerance" to weed.